The annual sell-out PortFringe fundraising event! 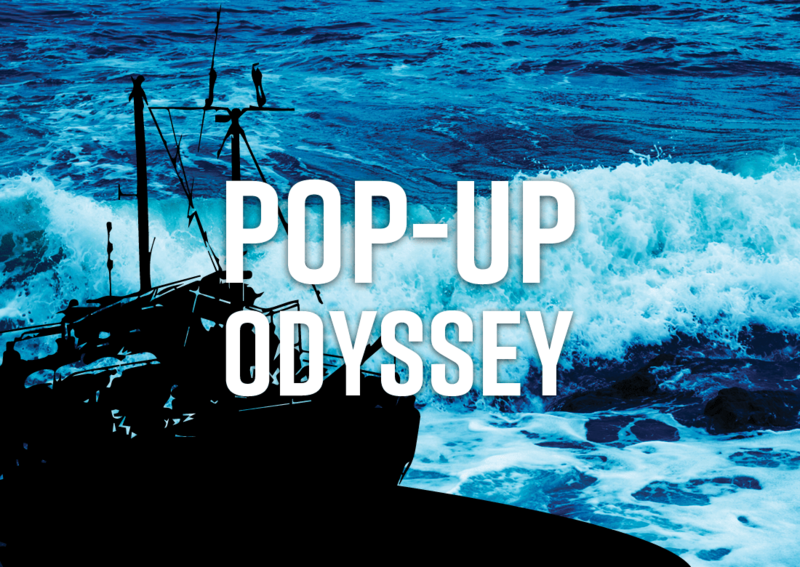 PortFringe Pop-Ups take the beyond-holy text of classic works, chop it up into pieces, and feed it to performance artists to go bananas on. Hog-friggin-wild. PortFringe Pop-Up events build awareness and provide financial support for the annual summer PortFringe Festival, and showcase the fringe spirit – removing financial and logistical barriers so artists can experiment and take risks. And audiences reap the benefit. The fun, affordable, and innovative format of pop-up shows appeal to theater lovers and fringe newbies alike. PortFringe Pop-All participants are chosen by random lottery and each assigned one section of a classic work. Each scene must be performed in under FIVE minutes, in absolutely any fashion. For reference, past years’ Pop-Up scenes have included clowning, ritual, shadow puppets, wrestling matches, Dungeons and Dragons, musings on cheese, drinking games, and folk music (just to name a few)! Tickets are $15 @ the door! CHECK OUT PAST POP-UPS HERE!